You can have fun with this one at any age! Pull out some old boxes, cut a hole in the side (big enough for a hand to reach into, but small enough so you can’t easily see the contents) and decorate. 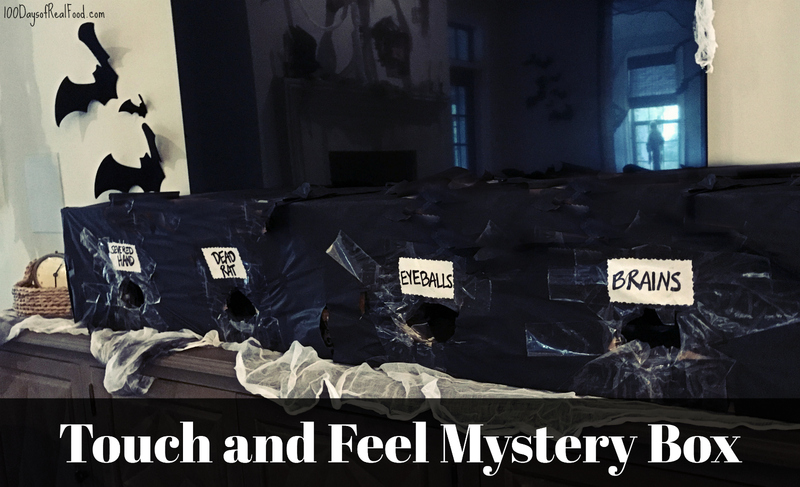 For your creepy mystery elements, peel a bunch of grapes (eyeballs), fill a rubber glove with rice (a severed hand), cook a batch of spaghetti (then dry it in a plastic “brain” mold) and find some toy rats. 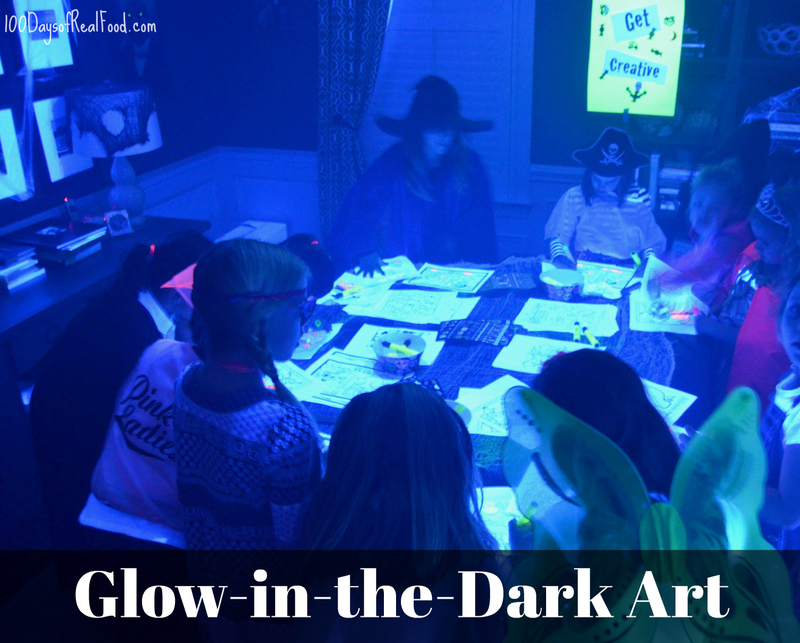 Turn down the lights and invite guests to touch and feel the mysterious items (if they dare)! 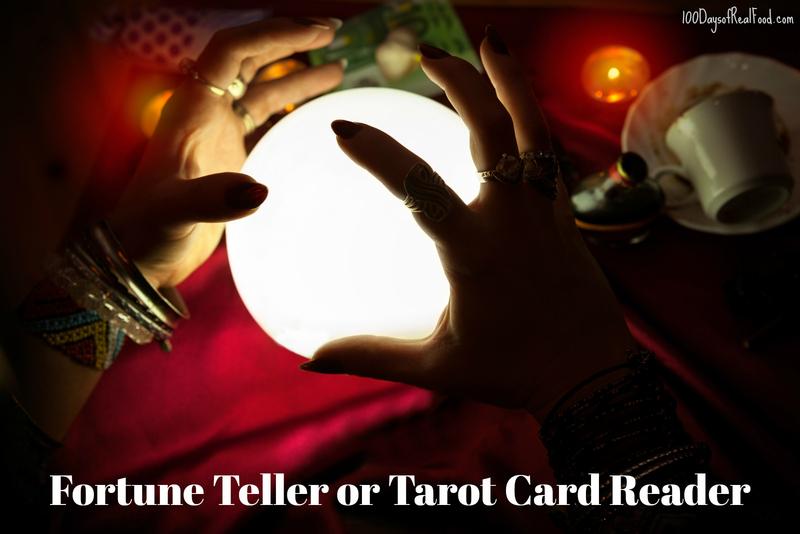 Find someone in your area (or ask a friend or aspiring actress to pretend!) to read the fortunes of your young guests. I just suggest sticking to the positives – tweens and teens can be fragile enough as it is! 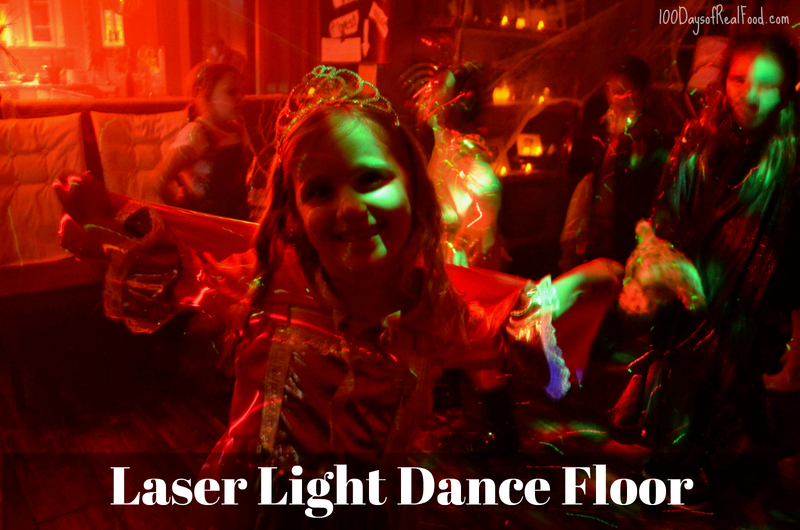 Turn down the regular lights in favor of a laser or disco light, enhanced with a fog machine (and some good tunes! ), and the kids will go nuts on the dance floor. Okay, so this is the one item that’s not exactly REAL FOOD, but if you pair “clean” chocolate with fresh fruit such as strawberries and bananas, as well as whole-wheat pretzels, it’s honestly not sooo bad. And if you’re really feeling up to it – you could throw in some naturally sweetened homemade marshmallows as well! 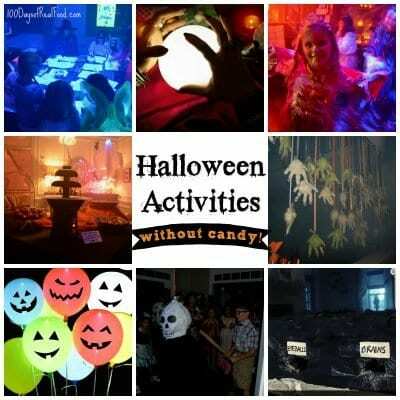 So many categories to choose from … our personal favorites are best, scariest and most creative. And we even found some cool glass skull cups (at Michael’s) that we’re going to fill with homemade “mocktails” to pair with the award ribbons! How cool is it that these are a thing? I had no idea until I was recently searching for something else and stumbled upon this brilliant little product. 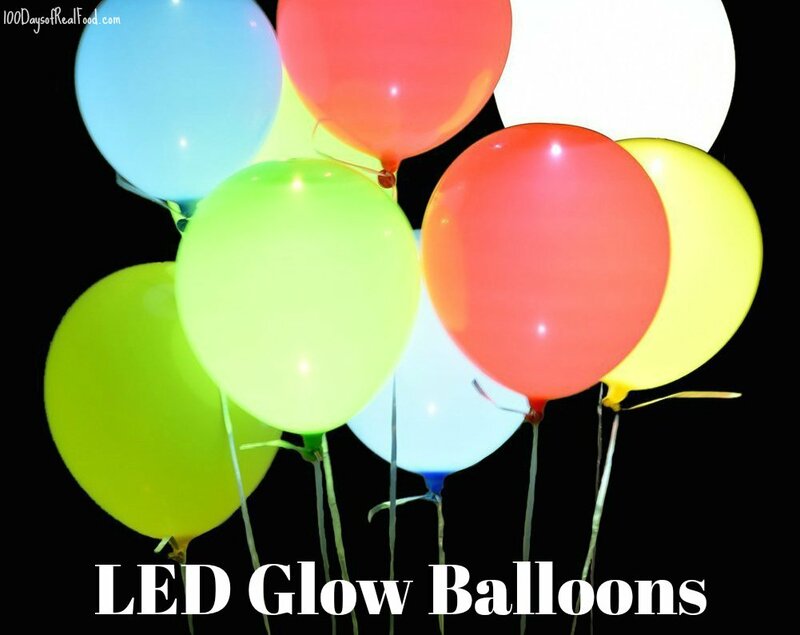 These LED color-changing balloons come in all colors (including Halloween themes) and would be fun filled with helium of course, or just strewn about the floor where people are walking (or dancing). 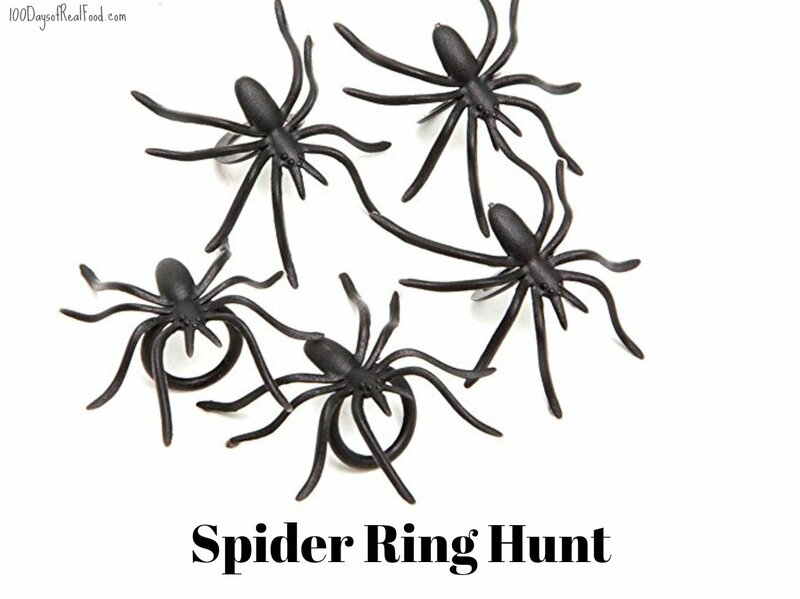 These could serve as party favors as well – how fun! I’ve said it before, and I’ll say it again – I am so glad popcorn (a fun food that kids love) is a whole-grain food! 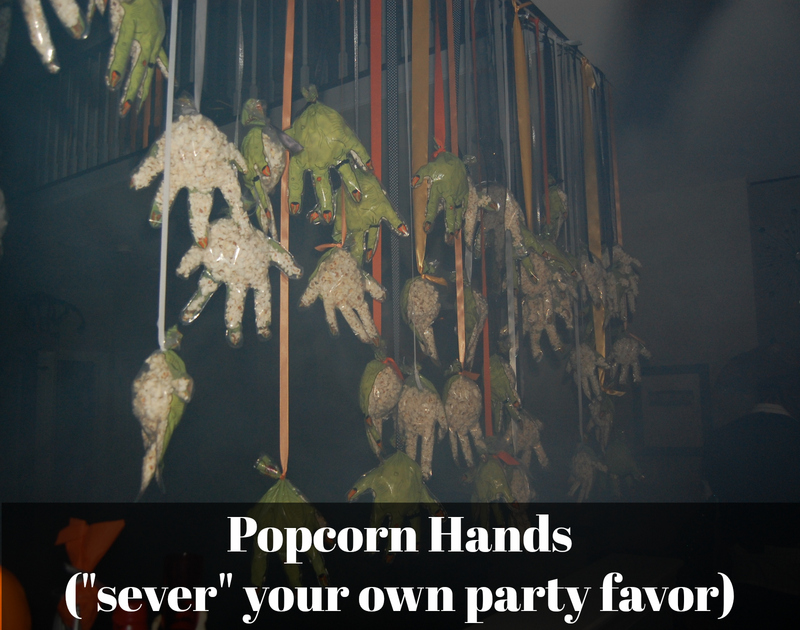 It’s so easy to make and even more fun adding it to hand-shaped bags that you string up for your Halloween party. Let each guest use a pair of scissors to “sever” their bag of choice upon their departure! 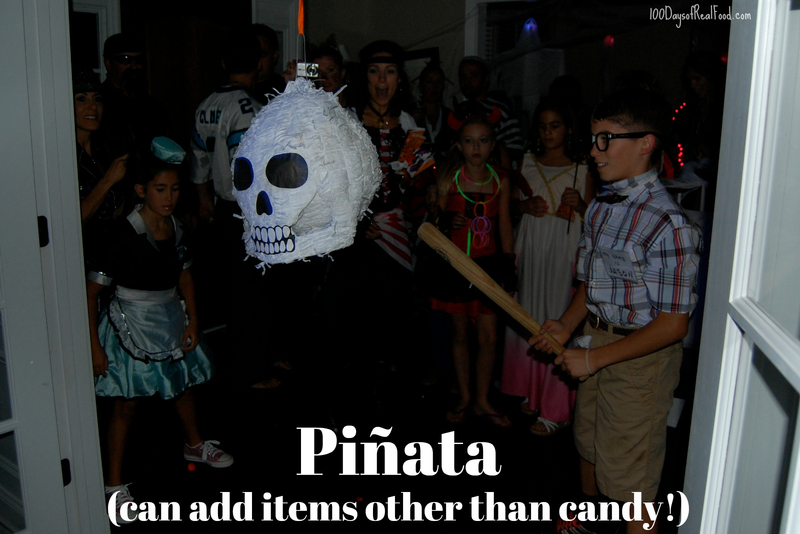 I’d love to hear any other ideas I’ve missed to help older kids have fun and celebrate Halloween this year! Please share with us in the comments. 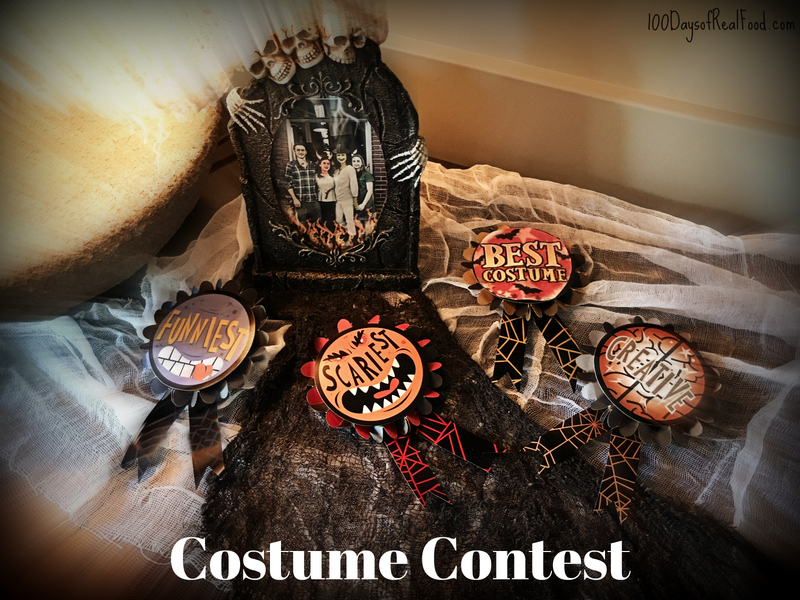 My daughter is 9 and we’re having a Halloween party so this is perfect! 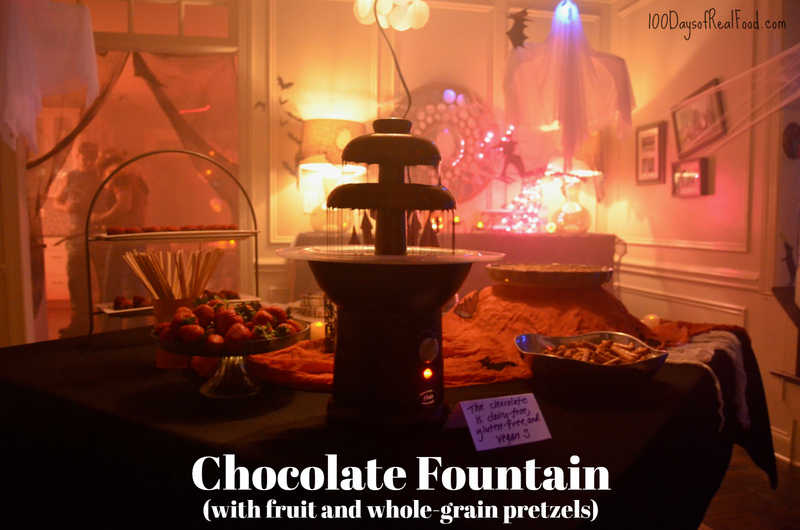 Wow….Chocolate fountain is a best part for kids. have a lots of fun..superb creation and combination using food items.